We have one of the busiest single dyno installations in the country. To date, we have tested over 5,300 engines, with over 400 engines a year for the last five years. 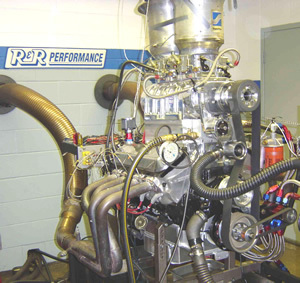 R&R Performance has tested engines ranging from a 13.2 hp Perkins diesel to a 650 cid naturally-aspirated Ford making 1,217 hp. Probably the most unusual engine was a 165 hp chainsaw engine for a two-man cutting competition in Wisconsin. New fixtures are necessary to accommodate the many different styles of engines. For instance, snowmobile engine testing required a special mounting fixture and an exhaust collection hookup for 4 inlets. Visit or "Overachievers" and "Oddball" pages to see some of the more interesting engines tested. 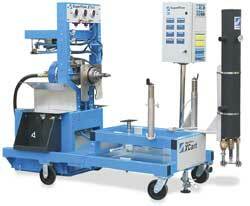 With the recent purchase of a docking-style SF-902 engine dynamometer, we have the capabilities of testing up to 2500+ horsepower and also of testing horsepower loss through transmissions.